CLEMSON --Available for fall of 2018---STEEPLECHASE FULL SIZED ONE BED ROOM APARTMENTS--- OWNER BUILT AND OWNER MANAGED! HANDS ON MANAGEMENT BY OWNER HAS IT'S ADVANTAGE---SOMETHING NEEDS REPAIR---CALL ME DIRECT---IT GETS DONE! 864 710 5256 STEEPLECHASE IS CLEAN AND WELL CARED FOR! Only 8 blocks from CLEMSON UNIVERSITY AND DOWNTOWN CLEMSON! Lic. 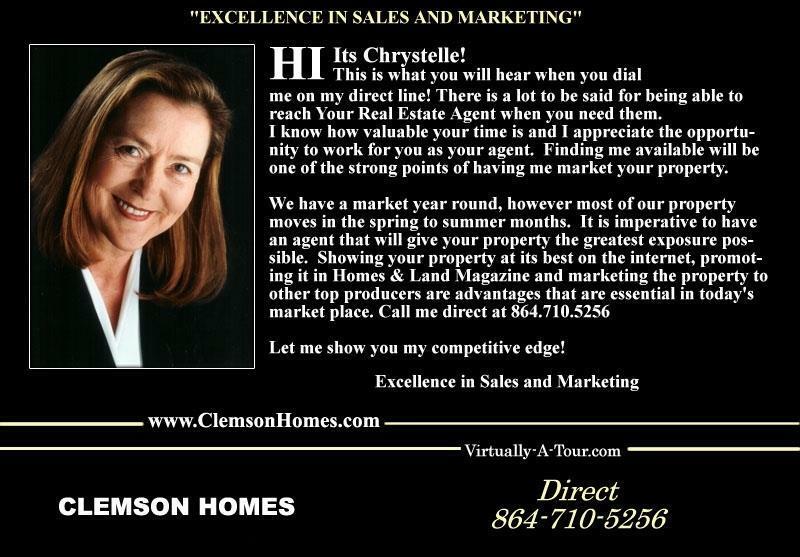 Real Estate Broker in S.C.